In April, Trump issued an executive order aimed at implementing his so-called “America-First Offshore Energy Strategy,” which called for a review of the 2017-2022 Five Year Outer Continental Shelf Oil and Gas Leasing Program finalized under the Obama Administration and proposed that all U.S. waters be considered for offshore drilling. 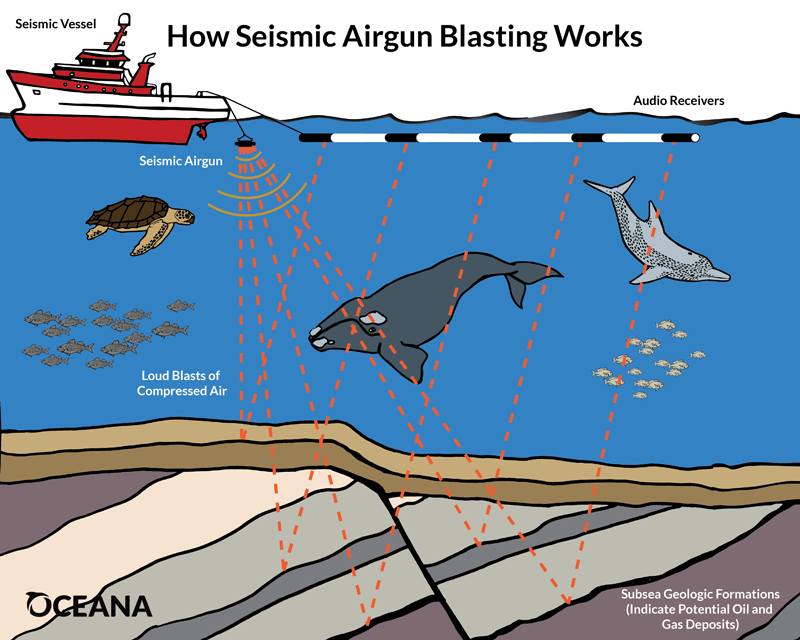 The executive order also instructed federal agencies to “streamline” the permitting process for “seismic research and data collection” and “expedite all stages of consideration” of Incidental Harassment Authorizations required under the Outer Continental Shelf Lands Act and the Marine Mammal Protection Act. 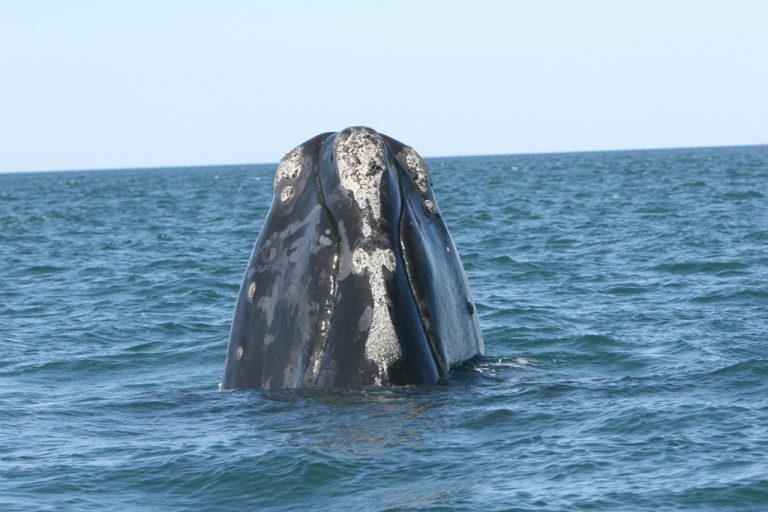 A species of particular concern is the North Atlantic right whale, which is listed as critically endangered under the US Endangered Species Act. 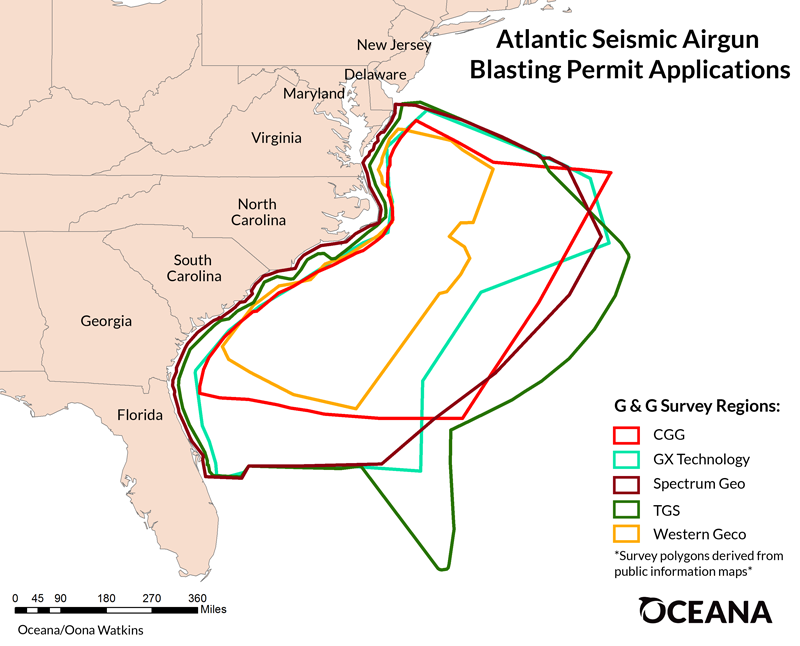 There are only about 500 of the whales left, and their only known calving ground is off the coast of the southeast US, including the area where seismic surveying has been proposed. O’Brien is far from alone in his opposition to the Trump Administration’s plans to open the Atlantic coast to exploitation by oil and gas companies. According to the NGO Oceana, “an alliance representing over 41,000 businesses and 500,000 fishing families from Florida to Maine, also oppose oil exploration and/or development in the Atlantic,” while the fishery management councils for the Mid-Atlantic, New England, and the South Atlantic regions have all expressed concerns about the risks posed by seismic airgun blasting.